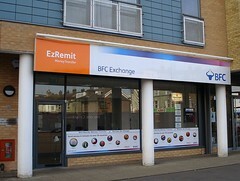 Sharia-compliant money transfer agency on London Road. Accessibility: No step to get in, plenty of room to move around inside. Last edited 2019-03-21 11:56:12 (version 32; diff). List all versions. Page last edited 2019-03-21 11:56:12 (version 32).